Chewbacca and Home Improvement’s Tim Allen have one obvious thing in common: They’ve both been on embarrassing television programs. Actually, make that two things—they both also regularly communicate in a series of grunts, yowls, and yelps. Needless to say, they would probably get along famously. But pay closer attention, and the overlap between their respective vocal ululations gets a little suspicious. Could they be long-lost relations? Is it possible Mr. Allen comes from a galaxy far, far away? Or is it the more likely option: Tim Allen grunts and roars like a goddamn Wookiee. 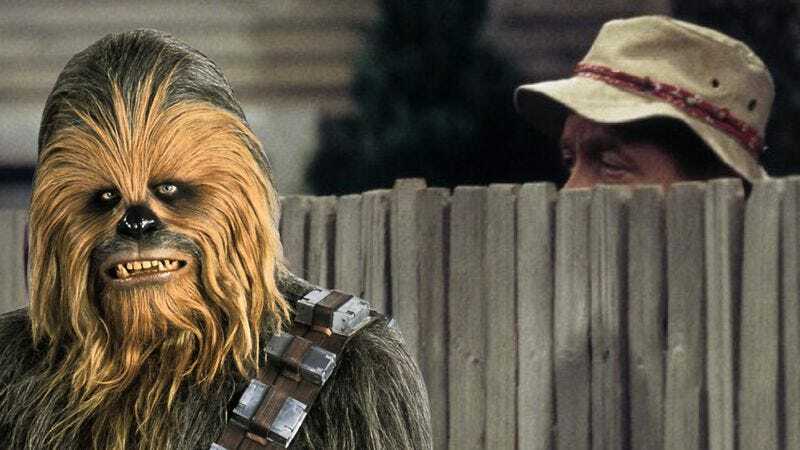 Onion Labs’ own Hassan S. Ali compiled the following video edit of Chewbacca emitting sounds taken from the mouth of Tim “The Toolman” Taylor, and the result is uncanny. Delightful, but uncanny.